On our first night in Scotland, after a wee nap to escape the jet lag, we ventured out for dinner at a pub called The Cannon's Gait. I did not order haggis. 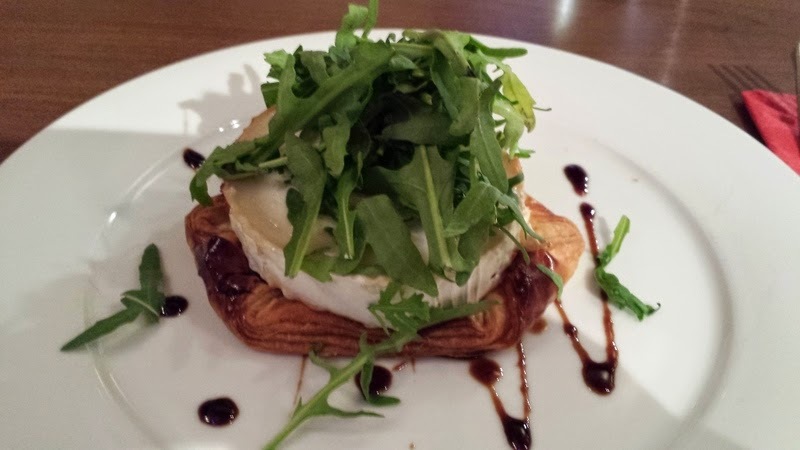 I ordered this delicious goat cheese tart. There I was, happy with the prospect of my coffee and tart on a cool rainy eve, when my sister says "Jenni, go ahead, try this!". Now anyone who has a sibling knows that this should be a red flag. A big red flag. As Taylor Swift would say I should have said no. It starts early in childhood "this tastes gross, you try it" or "that looks disgusting, you've got to look at it." Ever bite into a piece of candy that is really sour or has a crazy flavor? Your instinct is I've got to find someone else to agree that this thing is __________ (pick your adjective). She passes over a small piece of a filo wrapped haggis ball that she ordered in celebration of our first day in Scotland. I put it in my mouth. That was my first mistake. And then my brain stopped functioning. I couldn't swallow it. And I didn't have the presence of mind to spit it out. Fortunately there are no pictures to capture this esteemed moment, but it sounds like my facial expressions were something to behold. Finally, with my sister's encouragement, the piece of haggis went into the napkin and I sucked in a haggis-free sigh of relief. Everywhere we went, haggis was available. You want to get a side order to go with your breakfast buffet? Canned haggis for your pantry? Vegetarian haggis for your friend who doesn't eat meat? Haggis flavored potato chips? 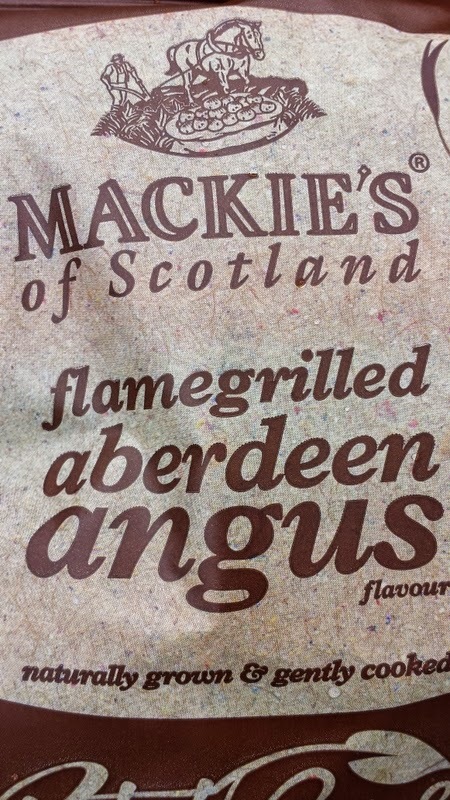 (I opted for the Aberdeen beef flavor myself) Duty free haggis in cans, jars, or fresh to pop into your carry on luggage for your friends or family back home? Haggis. It's there. Waiting for you. At the end of our trip, we were visiting family friends on the beautiful island of Islay. Where is Islay? It's in the Hebrides. An island on the west coast of Scotland where there is nothing but ocean between them and Newfoundland. Nine whisky distilleries on an island of 3000 or so people. Our hosts used to do Scottish dancing and traveled throughout Europe. And one time, when they were explaining their cultural dress, specifically the accessories, they told this story. When men wear their kilt, they wear a sgian-dubh (black knife), a small knife, tucked into their sock. You would think that this was for something innocuous, like slicing an apple, or perhaps throwing into a target during clan games. But no. It's for catching the haggis. Now, the haggis live in the highlands and spend their days running around the mountains, so they have two long legs on one side and two short legs on the other side. Perfect for mountain life. When you go hunting for the haggis, you have to be very stealthy. Come up on them from behind and yell "BOO!" When they turn around to see what's happening they lose their balance and start rolling down the hill. And that's when you use your sgian-dubh to kill them! What about you? 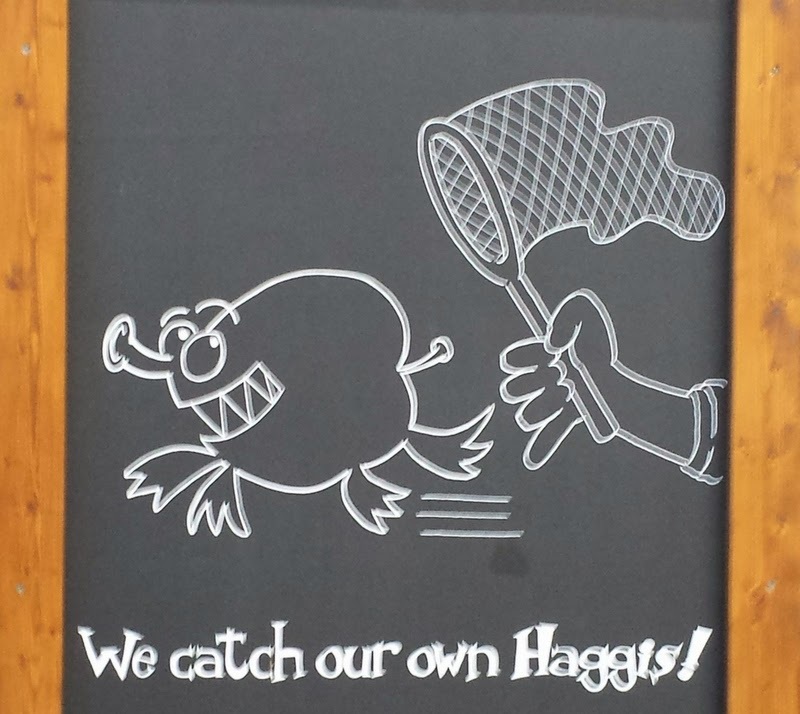 Are you pro-haggis? Do you have a story about trying a special cultural dish?